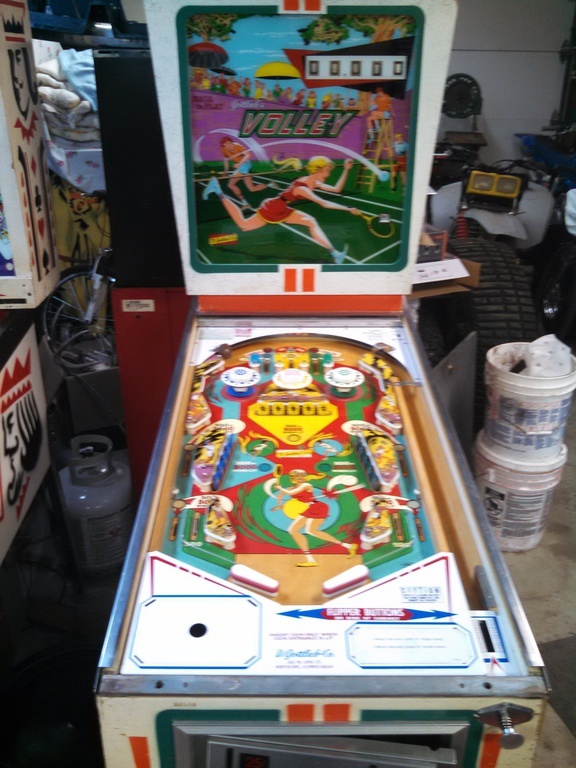 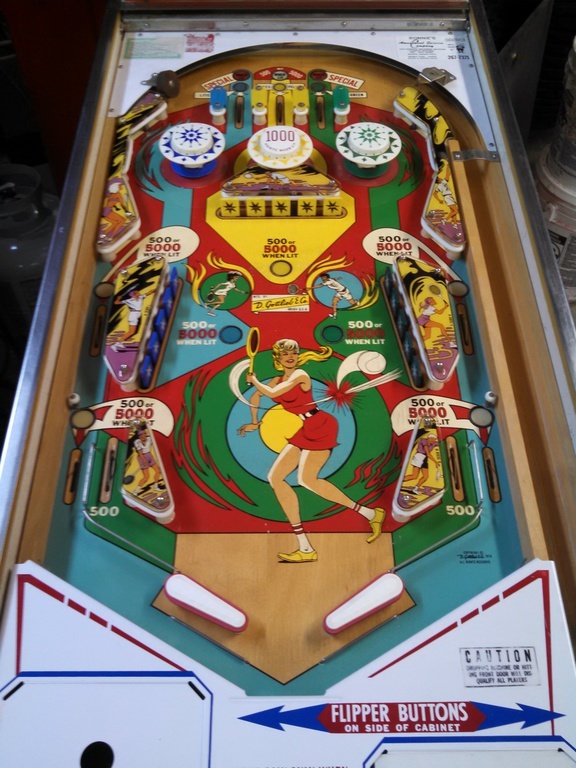 Volley was produced by D. Gottlieb & Co. starting in August of 1976. 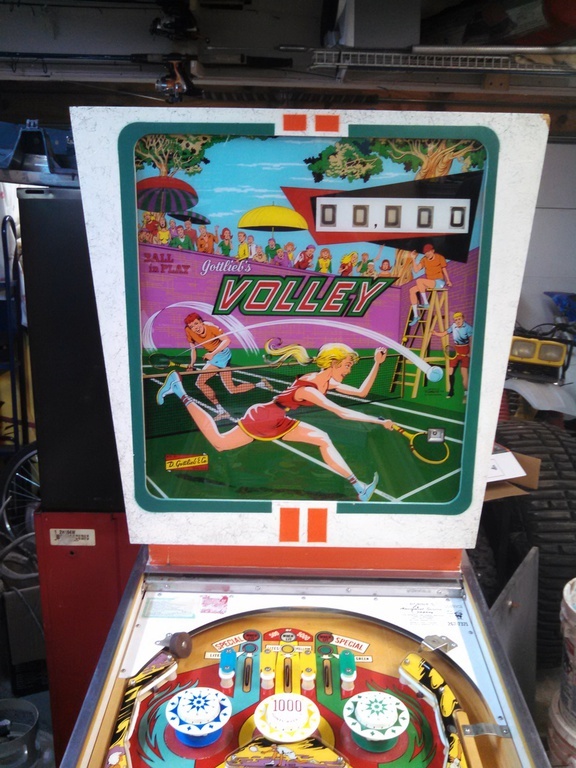 This machine featured 2 flippers, 3 banks of 5 drop targets, 3 pop bumpers, and no sling shots. 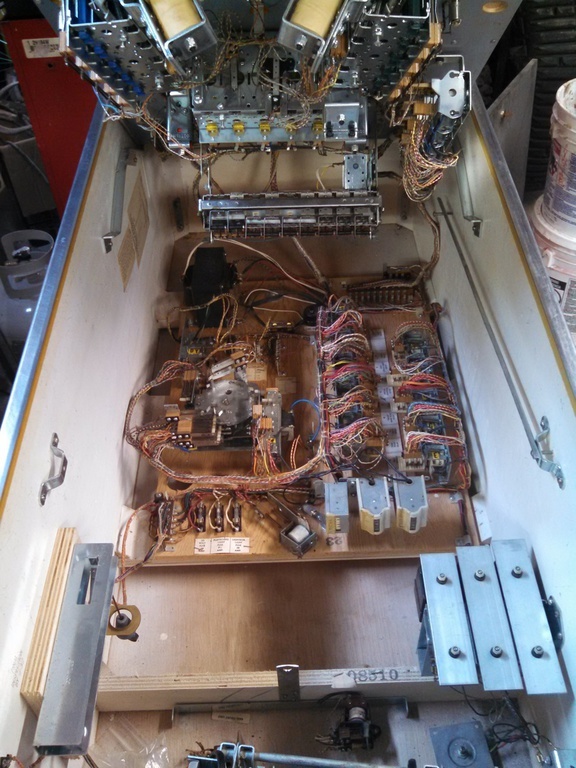 This was a very clean machine inside and out.